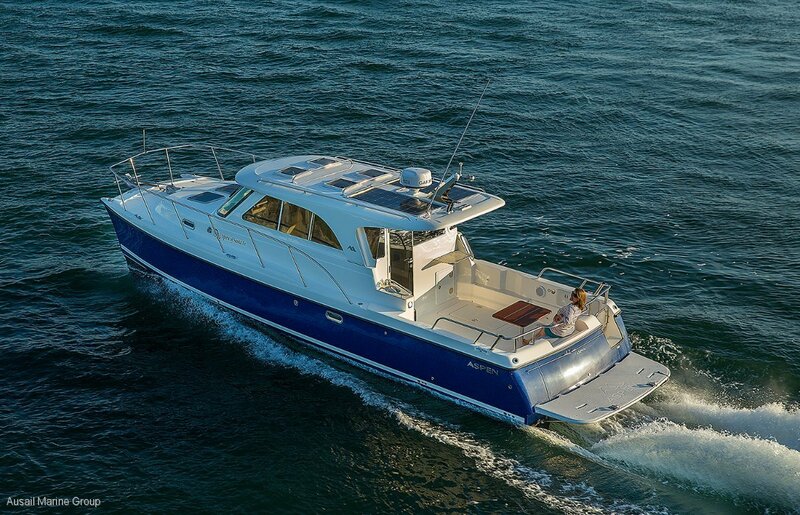 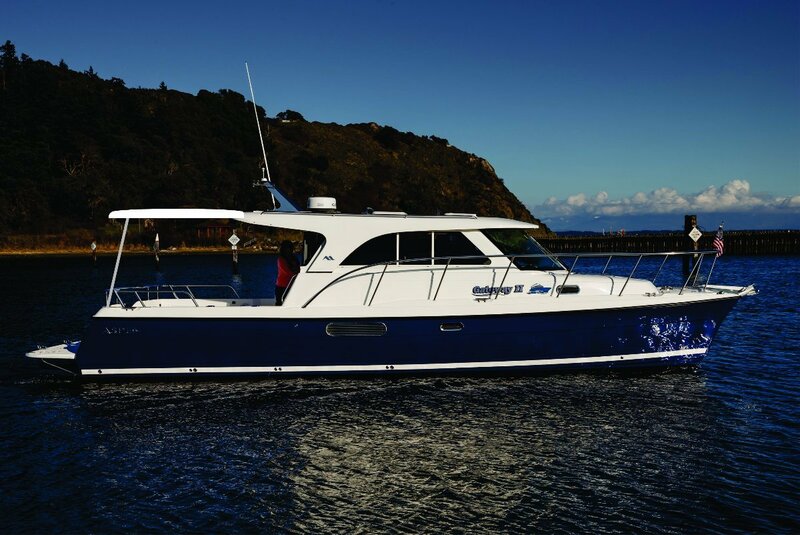 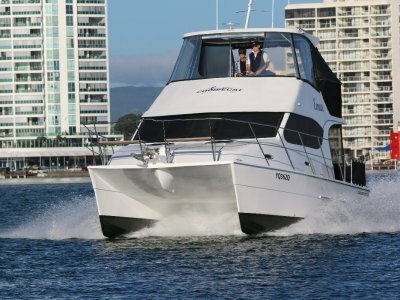 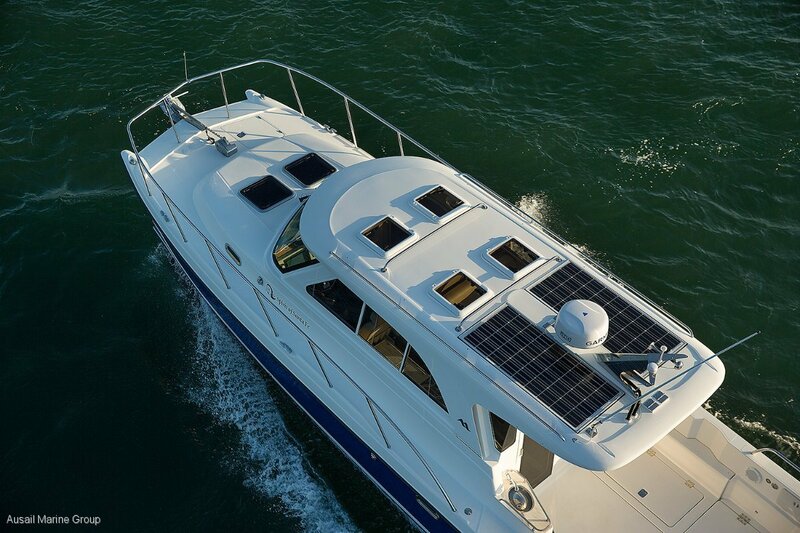 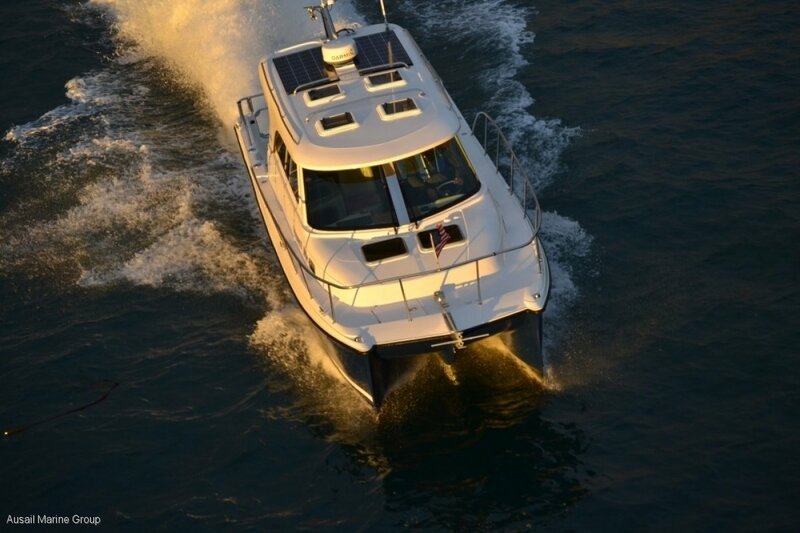 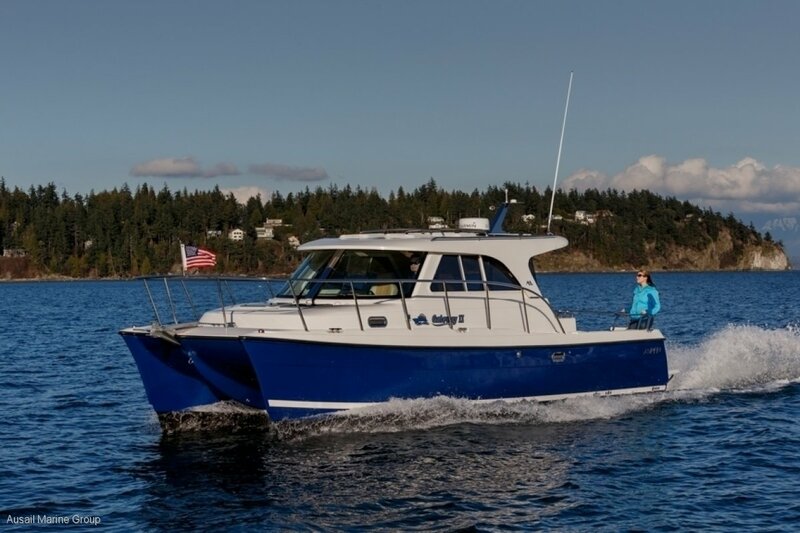 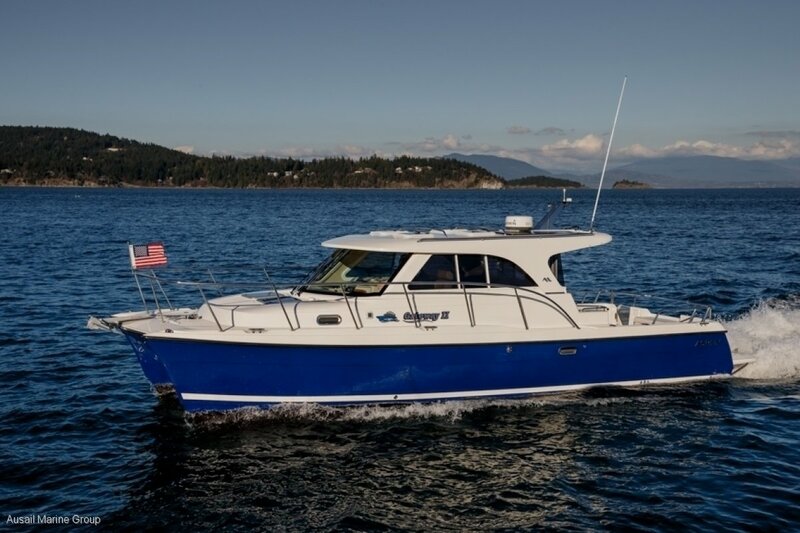 The new 32' C100 Escape has a similar cabin, salon, and interior components as our C90 Cruiser, but the hull and deck are 4' longer in the cockpit ideal for fishing and entertaining, this area also includes several standard features that are not available in the C90. 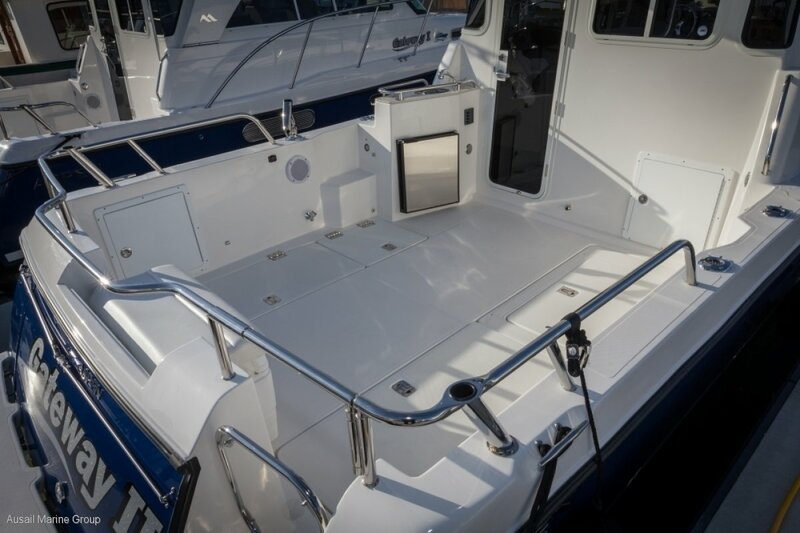 It has a built-in 96 qt. 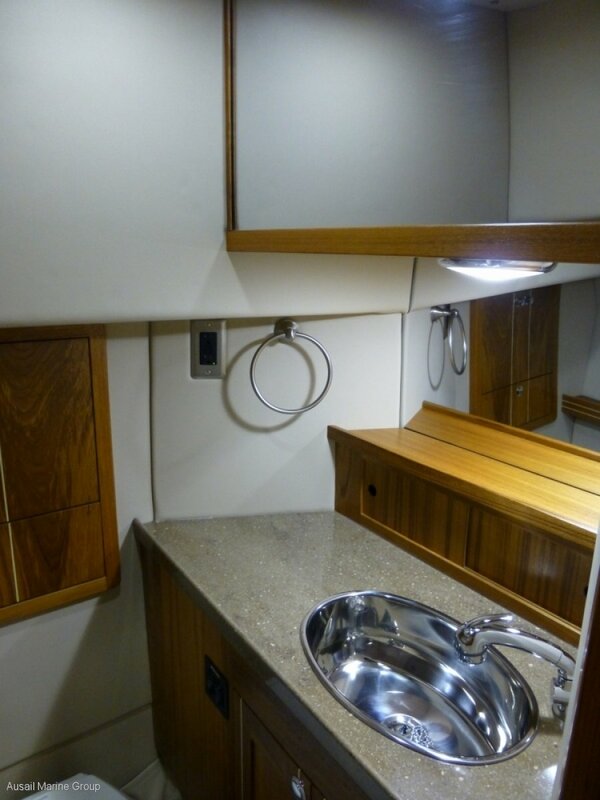 Igloo Cooler with a large seat, huge port and starboard lazarette storage, as well as a 2nd refrigerator and sink. 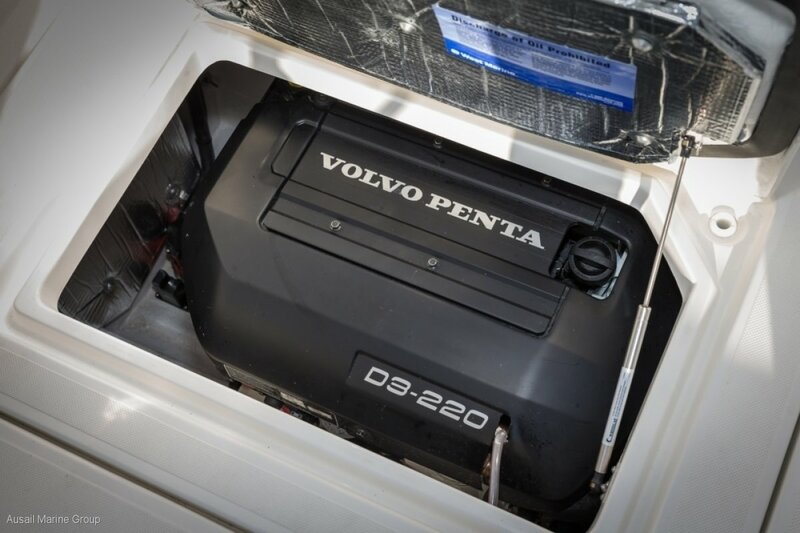 The Volvo D3 220 hp is mounted just aft of the salon bulkhead which reduces noise levels. 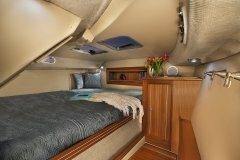 This, combined with over the top use of premium sound deadening, makes the C100 exceptionally quiet underway. 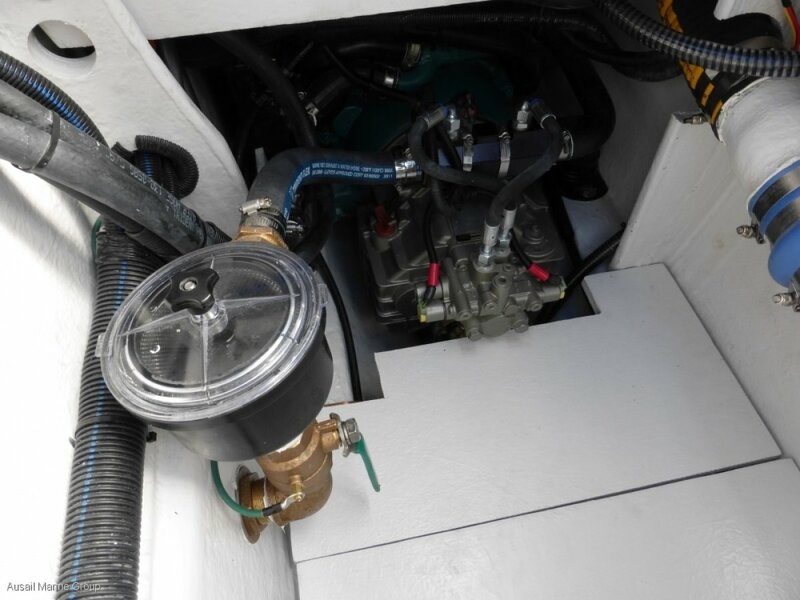 Engine access is via a 2' x 4' day hatch, as well as a huge 4' x 6' removable deck section. 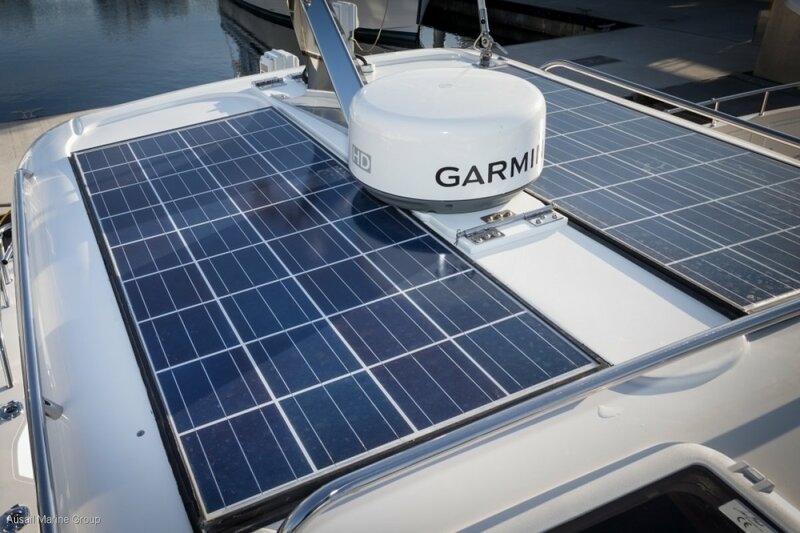 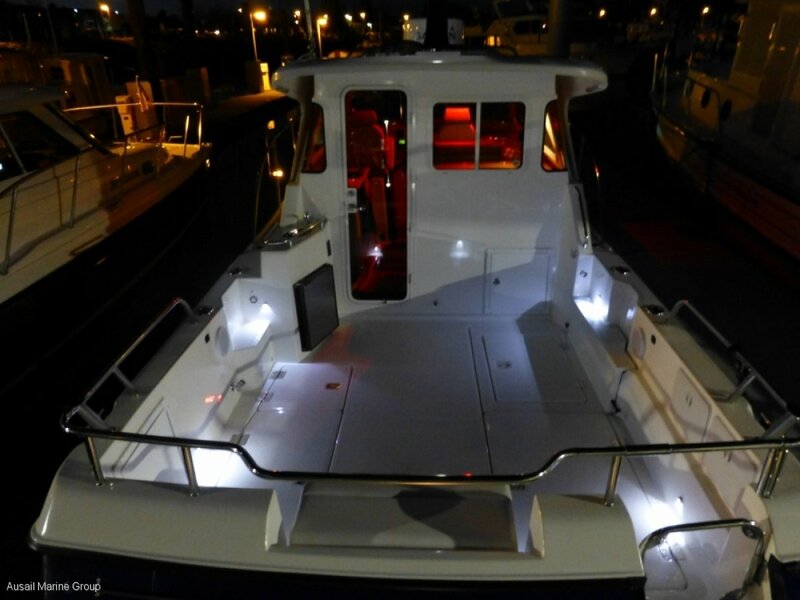 The C100 hull is also special, its extra 4" of length adds more than 2,200lb. 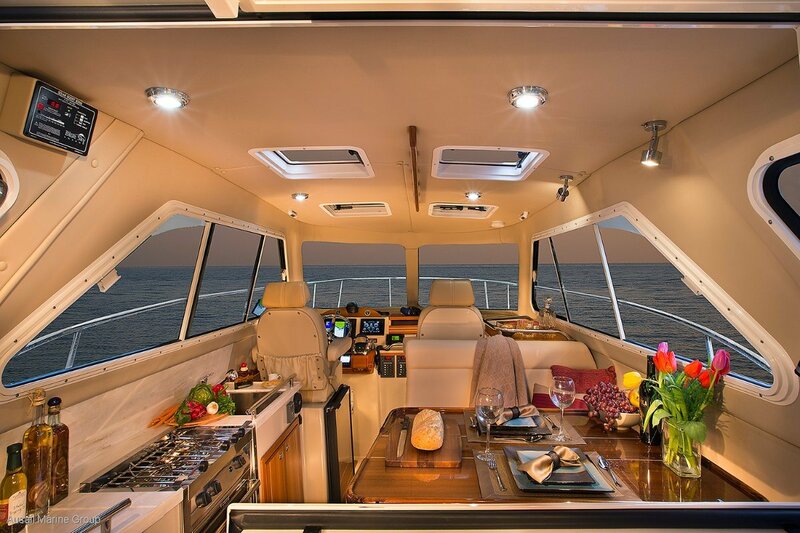 Of buoyancy. 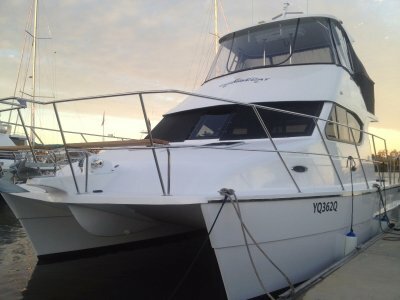 Additionally, the hulls are 2' deeper by design. 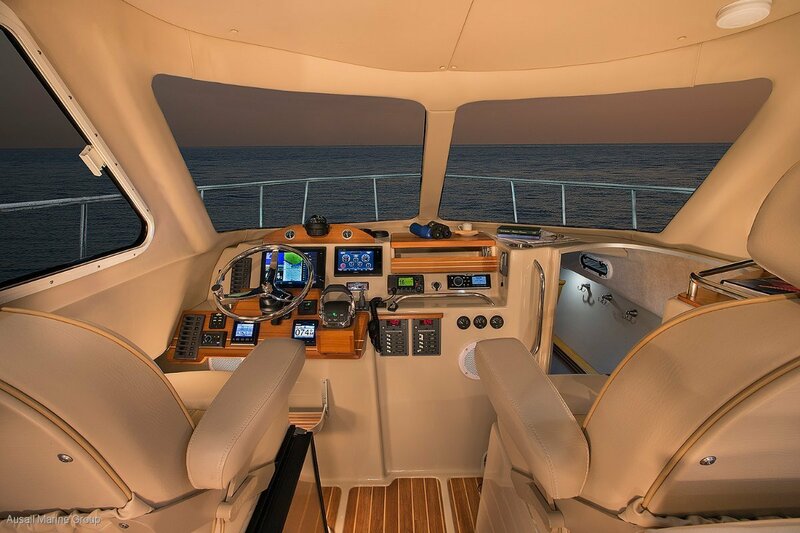 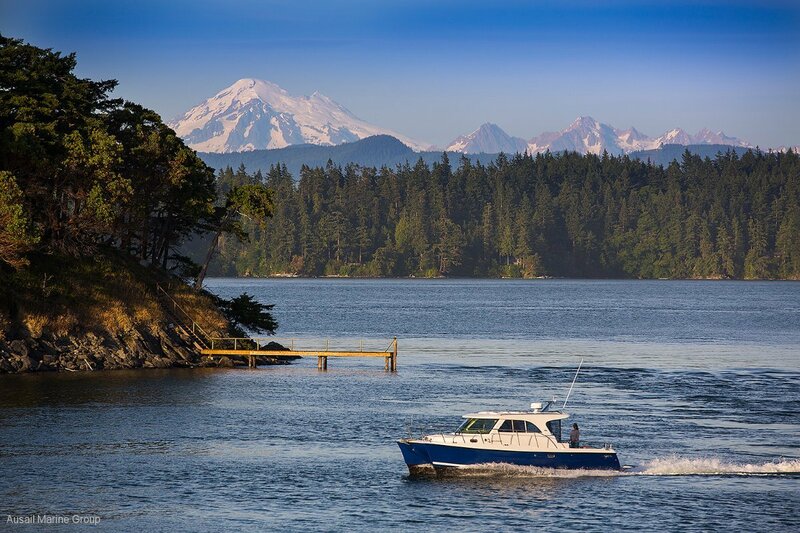 The combination lifts the bridge deck 4', proportionally adding dramatically more travel in the boats suspension system for large sea passage making. 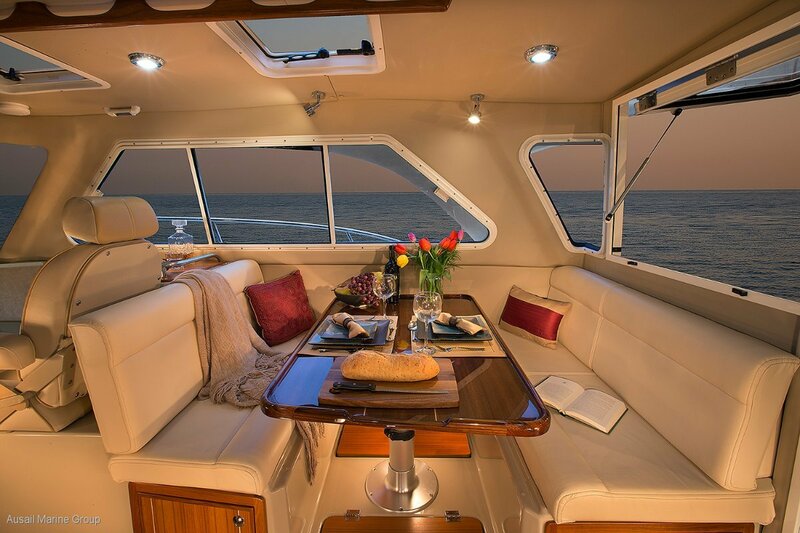 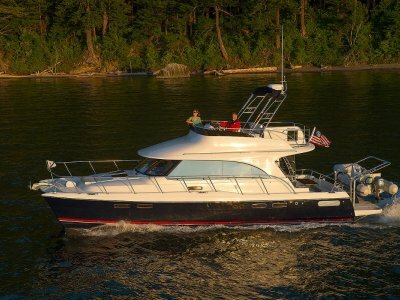 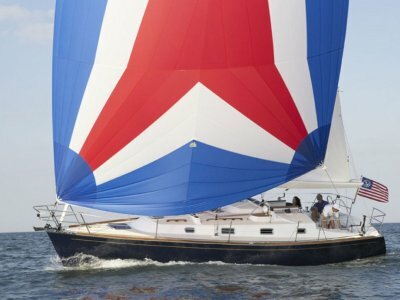 C100 owners are set to make weeks long adventure trips, island to island, or up vast open coastlines with speed comfort and efficiency. 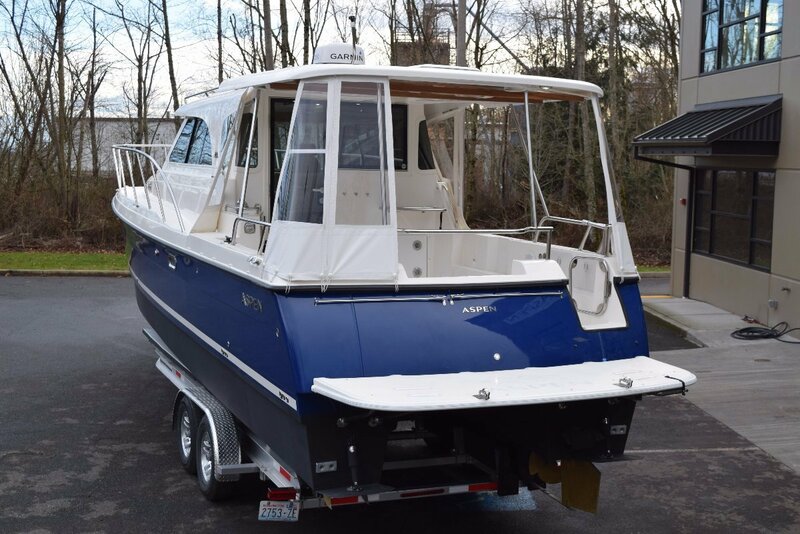 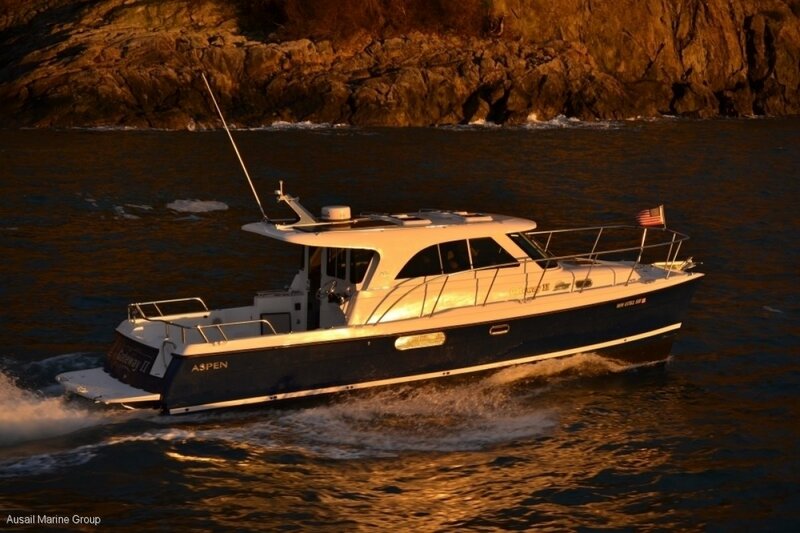 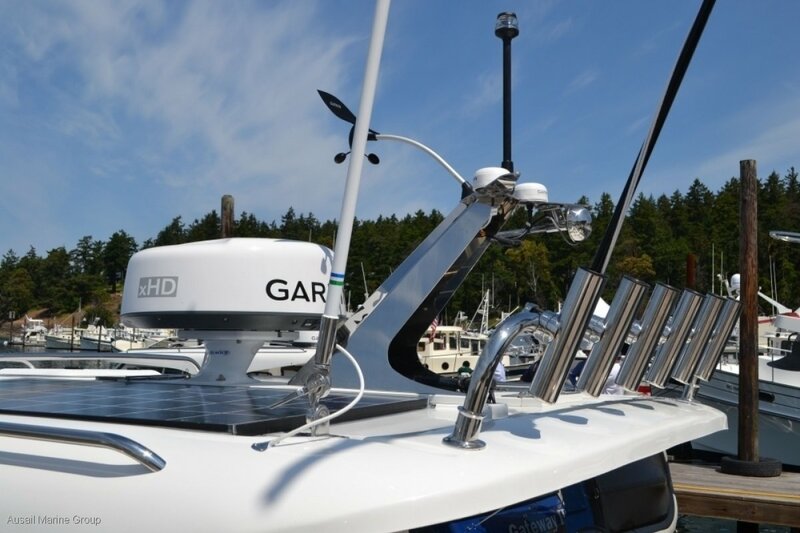 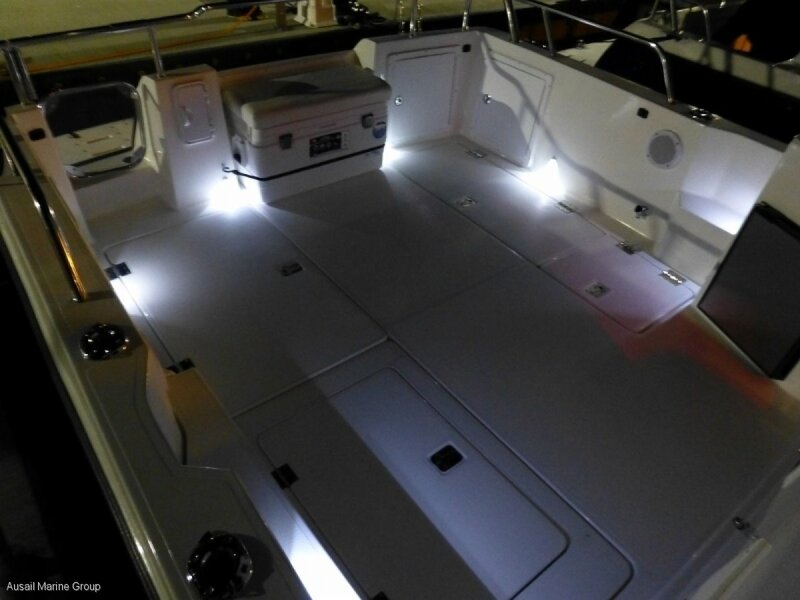 The C105 which made its debut at the Seattle Boat Show in January 2017, is a C100 with a full hardtop over the entire cockpit, complete with skylights, hatched and an ooptional watertight enclosure. 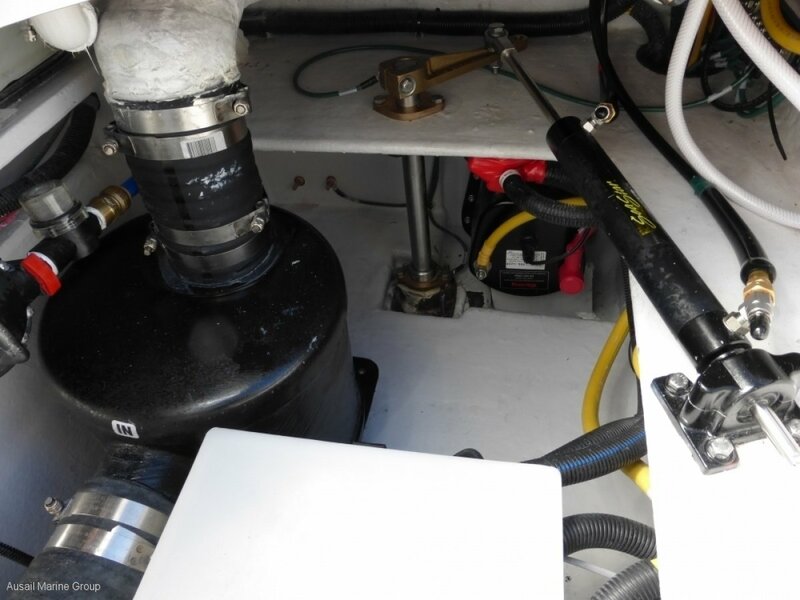 Bridge Clearance, Mast Down, in water	8'2"
Bridge Clearance, Mast Down, on trailer	12'8"